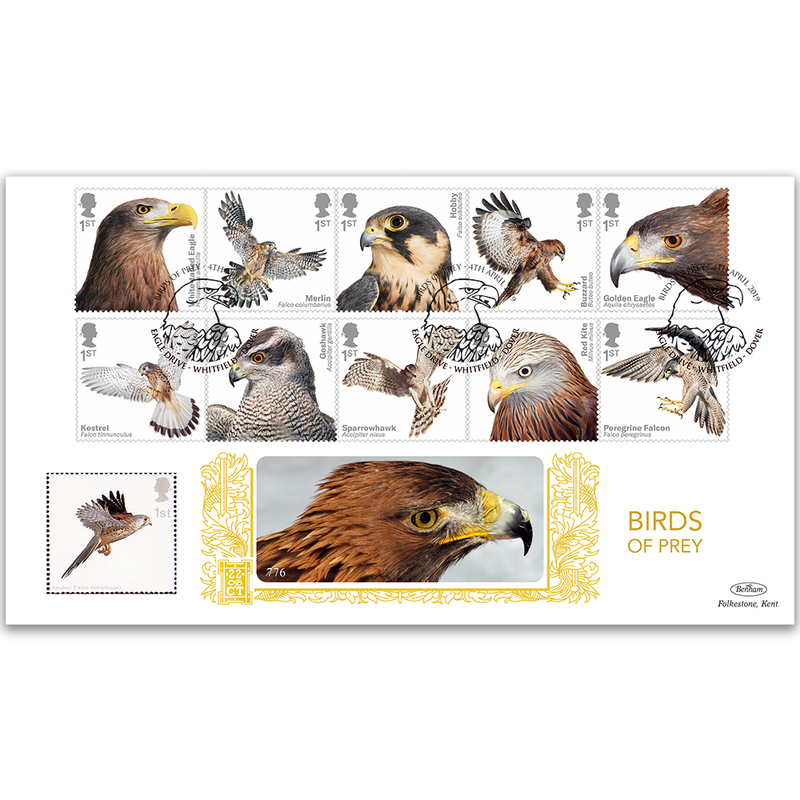 This striking and beautiful issue of ten 1st class NVI stamps features UK Birds of Prey depicted in photographs by specialist photographer Tim Flach. Royal Mail bird-themed issues are always popular and this promises to be no exception. The birds featured are: White-tailed Eagle; Merlin; Hobby; Buzzard; Golden Eagle; Kestrel; Goshawk; Sparrowhawk; Red Kite and Peregrine Falcon. The Gold 500 cover shows a striking Eagle's head image framed by an intricate 22ct gold-blocked design and carries a pictorial Eagle Drive, Whitfield, Dover handstamp. Numbered limited edition of 500.